Please see our Adoption Guidelines page to see if you qualify and to fill out an adoption application. 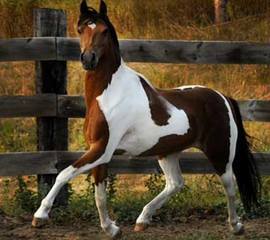 Potential adopters are welcome and encouraged to make inquires about available horses; however, in order to set up an appointment to meet horses we do require a completed application on file. Please Note: We do charge adoption fees for our equines. The fees can vary quite a bit depending on the horse (training level, age, needs, etc.). We do not have adoption fees posted with our horse bios, but if you contact us with the names of specific horses you are interested in we will be happy to give you more information. Thank you! You can find out which horses and other animals have found new homes or have been transferred to another organization by visiting our Recent Adoptions page. 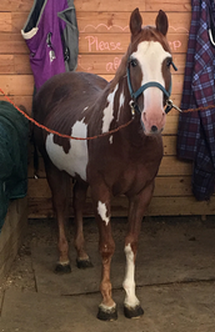 Most Recent Additions: Epona: sorrel mare added to “Rehab” section 04/01/19; Luta: sorrel mare added to “Rehab” section 04/01/19; Fillmore County Pinto Gelding: added to “Rehab” 04/01/19; Fillmore County Bay Gelding (Deceased): added 04/10/19; Fillmore County Sorrel Mare: added to “Rehab” 04/01/19; Fillmore County Pony Mare: added to “Rehab” section 04/01/19; Fillmore County Bay Colt: added to “rehab” section 04/01/19; Fannie Mae: TWH mare added to “Rehab” 1/03/19; Hank and Henry: mini donkey geldings added 12/28/18; Galileo: mini gelding added 12/08/18; Knight: welsh pony gelding added 11/28/18; Salsa: mini mare added 11/13/18; Roma: mini mare added 11/13/18; Tomato: mini mare added 11/13/18. Horses who are currently in our Rehabilitation Program can be viewed by scrolling to the bottom of each page. The horses presented in this section have either recently arrived and are waiting for a veterinary examination and assessment or they have a medical condition that prevents them from being immediately available for adoption. In the case of the latter, there are often veterinary bills that need to be paid. Thanks to the generosity of sponsors, these horses can continue to receive care. Unfortunately, there are usually more horses than there are sponsors. If you or your organization would like to offer general sponsorship or a special-occasion gift sponsorship for a friend or loved one, please CLICK HERE to see our Sponsorship Gift Program. Give the Gift of Kindness!